I’ve had this recipe pinned for a long time and I finally decided to make it and now, I’ve made it 3 times for a total of 72 mini muffins. 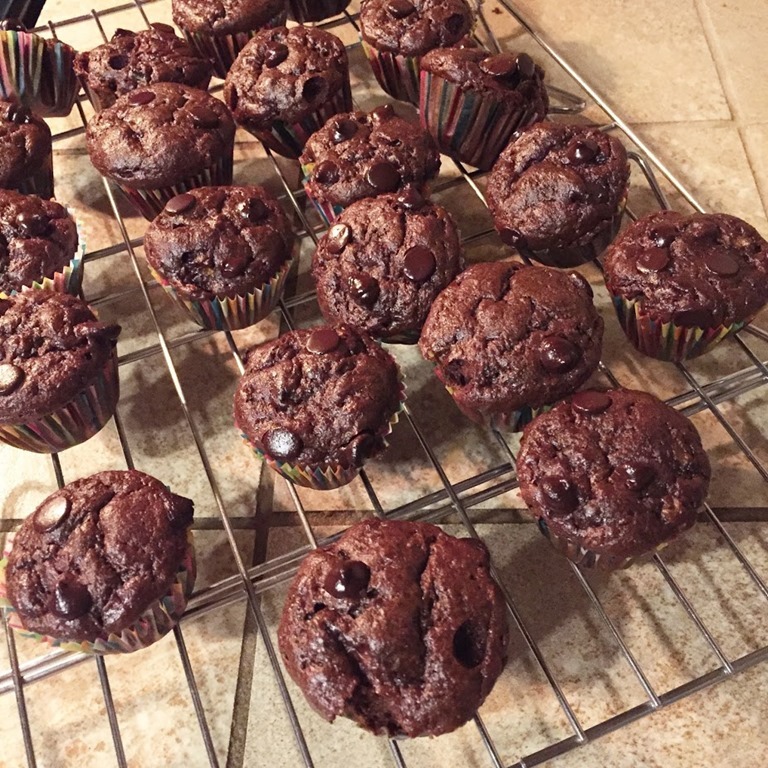 I originally made these muffins for my 3 year old, to give to him for breakfast since we are currently on a breakfast food rut. 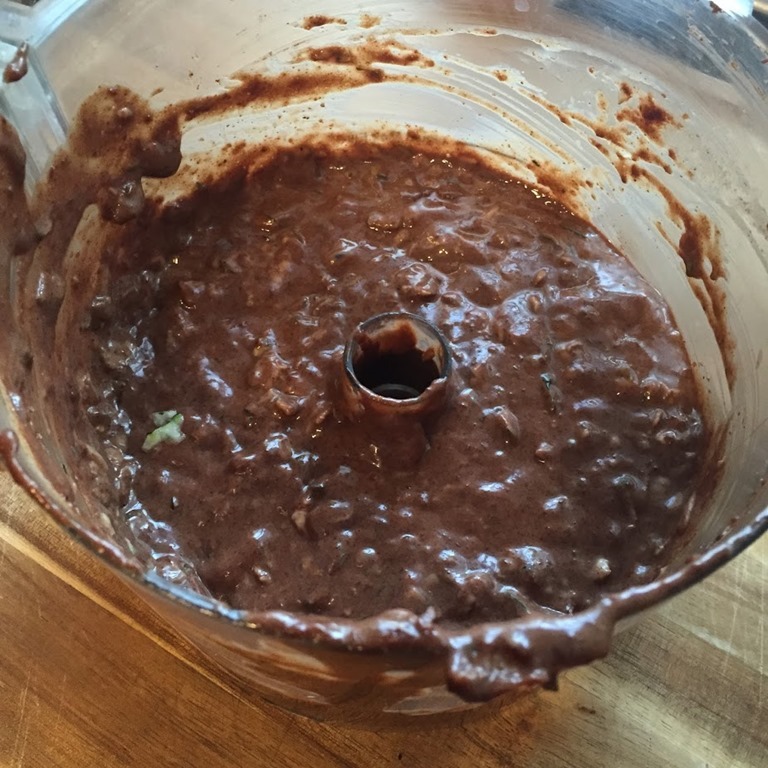 I know he loves chocolate so I wanted to make a healthy muffin to enjoy for breakfast or as dessert after dinner. He has eaten 3 muffins for breakfast every day, along with bacon and fresh fruit. 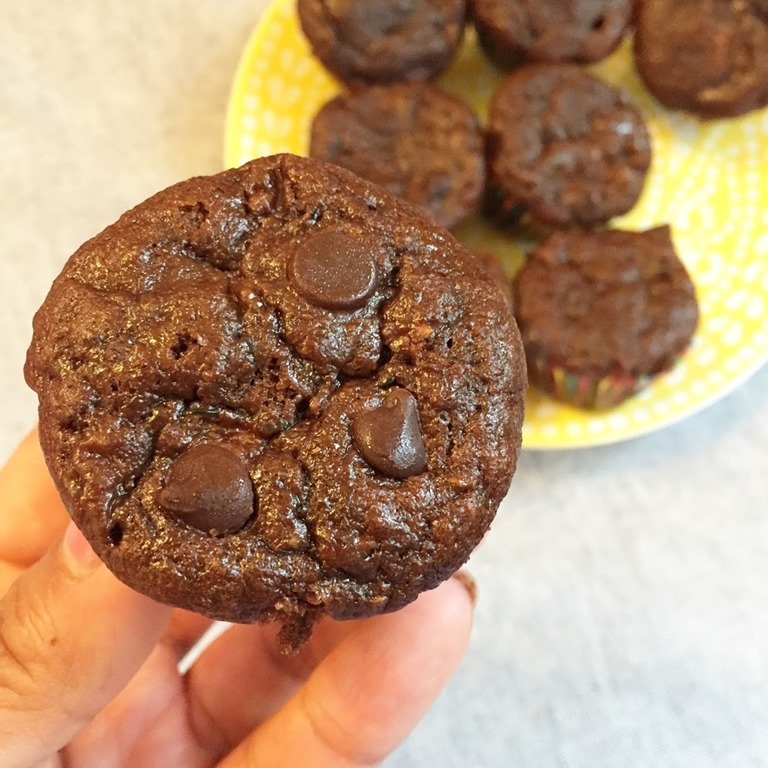 One taste of this delicious muffins and I knew I was going to make them for myself to enjoy with my afternoon tea at work. I store a batch in my fridge at work and eat them throughout the week. I increased the amount of zucchini, the more you add, the moist the muffins. I made them with 1.5 cups zucchini but found them too moist. Preheat oven to 375F and prepare a mini muffin pan by spraying with cooking spray. Set aside. 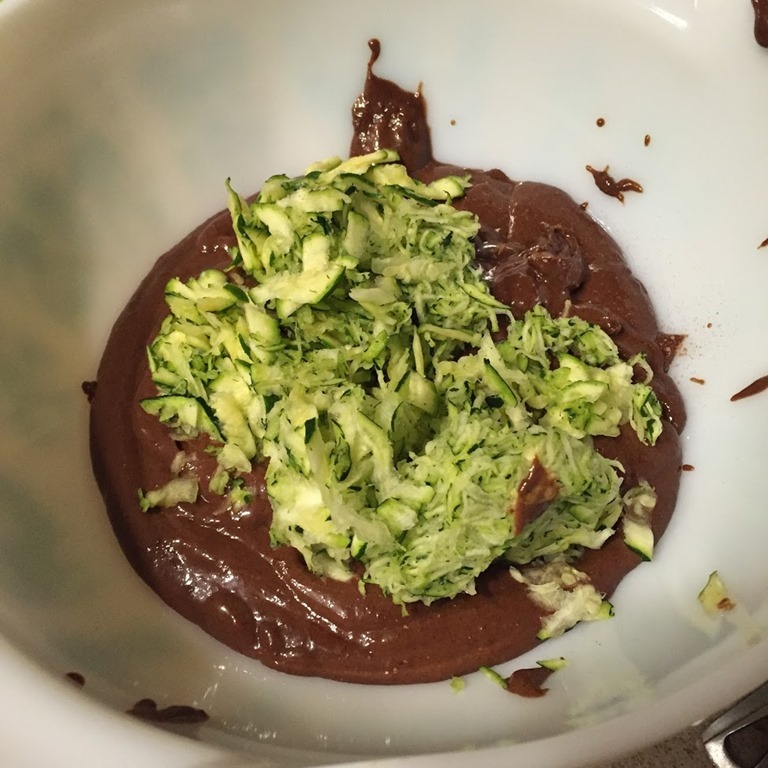 Add all ingredients except for zucchini and chocolate chips to a food processor and pulse on high until batter is smooth and creamy. Stir in shredded zucchini by hand. Pour batter into prepared muffin pan, equally filling each cavity. Sprinkle with chocolate chips. Bake for 10-12 minutes, (start watching them around the 10 min mark) until the tops of your muffins are set and a toothpick inserted into the middle comes out clean. 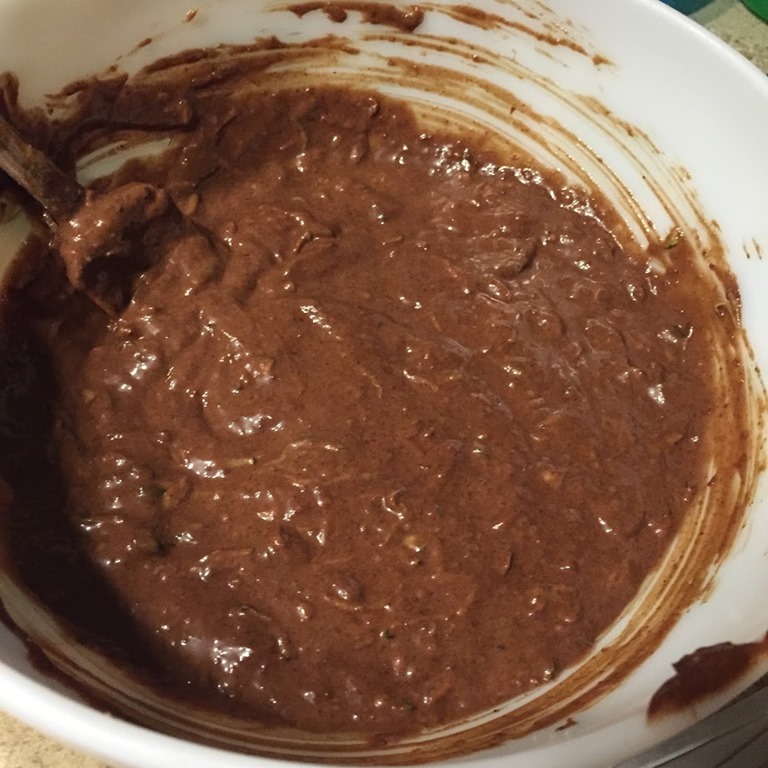 Allow muffins to cool in pan for ~10 minutes before removing. Store in the fridge in an air-tight container for up to a week. I freeze any leftovers after 5 days. I’ve seen many renditions of this recipe but haven’t tried it myself. They look really good!